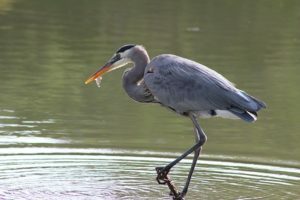 One of the many creatures you are sure to encounter in the Sea Pines Forest Preserve is the Great Blue Heron. A Lowcountry treasure and a beautiful example of nature at her finest, this giant bird stands up to 39 inches high and is an illustrious predator. Their diet in the Sea Pines Forest Preserve consists mostly of fish; however, they have been seen eating eels, snakes and frogs as well. The Great Blue Herons in the preserve are indigenous to the area and live within its boundaries year-round. They are familiar with the H20 Alligator Boat and often allow patrons to get very close for an unparalleled look at local wildlife. 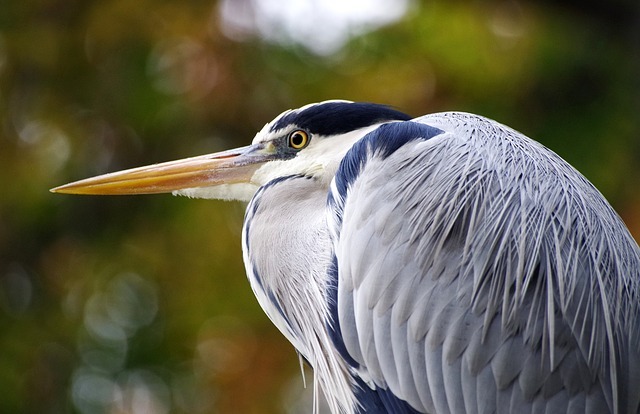 Passengers who are fortunate enough to see the Great Blue Heron so near are not disappointed. H2O Sports is a great place to spark curiosity and inspire learning in all ages, offering eco-adventure tours and live alligator exhibits. To make reservations for the Alligator and Wildlife Tour, please call (877) 290-4386. For information, visit H2OSports.com.